Taking on the pub has been a totally different experience for me. Having retired from teaching children with Special Needs, I imagined myself becoming a ‘lady who lunches’. 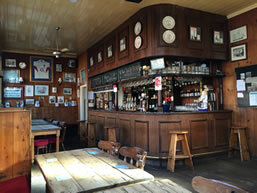 However, it was not meant to be and in 2011 I took on the White Hart. My son Daniel joined the team in 2012, having previously worked for a local wine company. 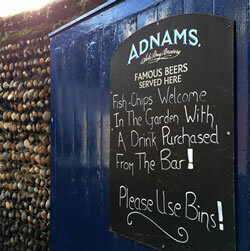 The historic town of Aldeburgh is a lively and vibrant place to visit. We’re situated on the High Street, just a short stroll away from Aldeburgh’s shingle beach. The town is full of interesting independent shops and art galleries, as well as the more familiar stores, so there’s no shortage of things to do and see. 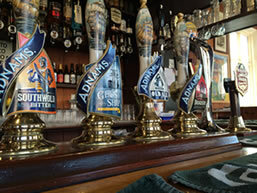 The Adnams brewery is situated further up the coast in town of Southwold, so you can be sure of enjoying a fresh pint of Suffolk-made beer here at The White Hart.